Lieutenant Frederic Henry, an American assigned to a Red Cross ambulance unit in Italy, is severely wounded on the Austrian front and sent to a hospital in Milan, where he falls in love with his English nurse, Catherine Barkley. When he returns to the front, the war goes badly, and Frederic joins a retreat from Caporetto in which he barely escapes execution at the hands of Italian battle police. He deserts the army, returns to Milan, goes on to Stresa, joins now-pregnant Catherine Barkley, and avoids capture by rowing across the lake to Switzerland, where they live an idyllic life until Catherine delivers a still-born child and dies, and Frederic walks back to his hotel in the rain, alone. 1. How does the first chapter of A Farewell to Arms set a tone and mood which anticipate subsequent events? Why does the narrator move the reader through a change of seasons from late summer to autumn and on to winter? What are the major images in the chapter, and what is the effect of the understatement in the final sentence (p. 4)? 2. During Lt. Frederic Henry's early visits with Catherine Barkley, Catherine says as they touch each other and speak of love, "This is a rotten game we play, isn't it"? (p. 31). How should one characterize Frederic's early "love" for Catherine? What does the initial stage of their relationship reveal about the effect of the war upon their lives? 3. What perspective regarding love does the priest from Abruzzi provide, and why do officers bait him during meals? Frederic says the priest "had always known what I did not know and what, when I learned it, I was always able to forget. But I did not know that then, although I learned it later" (p. 14). Is Frederic's observation borne out in the novel? 4. Why are the Italian soldiers disillusioned with the war? How is Frederic's leap into the river to escape the battle police a symbolic demarcation in the novel? What extended meaning do we find in his statement, "It was not my show any more..."(p. 232)? Does Catherine represent for Frederic refuge, peace, and "home" in its fullest sense? How? 5. Is A Farewell to Arms "a study in doom," as it has sometimes been called? How is Frederic's recollection of the ants on the burning log relevant to questions about God and faith raised in the novel? What do you believe Frederic has learned, or perhaps become resigned to, in this novel of love and war? The critic Allen Tate read A Farewell to Arms in Paris in 1929 and called it a masterpiece. Fewer than three months after its publication it had sold 45,000 copies and headed many bestseller lists. Many consider it Hemingway's best novel. 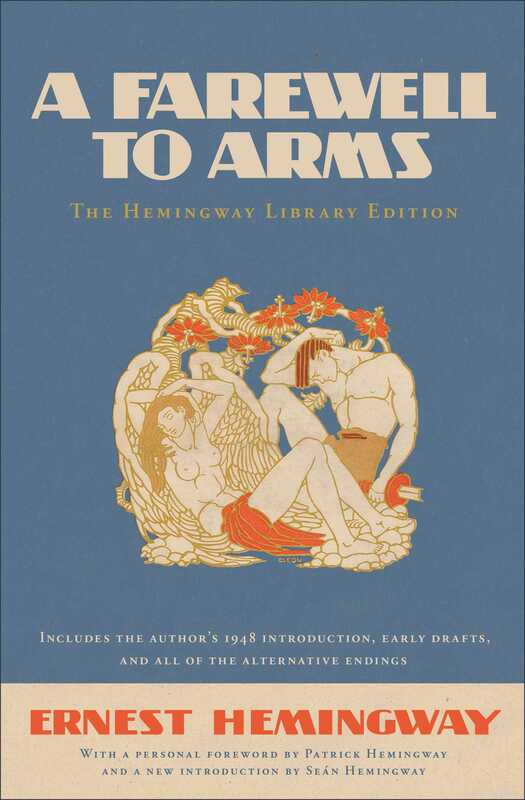 You may wish to look at early sketches which inspired portions of A Farewell to Arms, especially the "Miniatures" which introduce Chapters 6 and 7 of In Our Time, or at short stories which evolved from Hemingway's World War I experiences such as "In Another Country" (1927), "Now I Lay Me" (1927), and "A Way You'll Never Be" (1933), all available in The Short Stories of Ernest Hemingway. 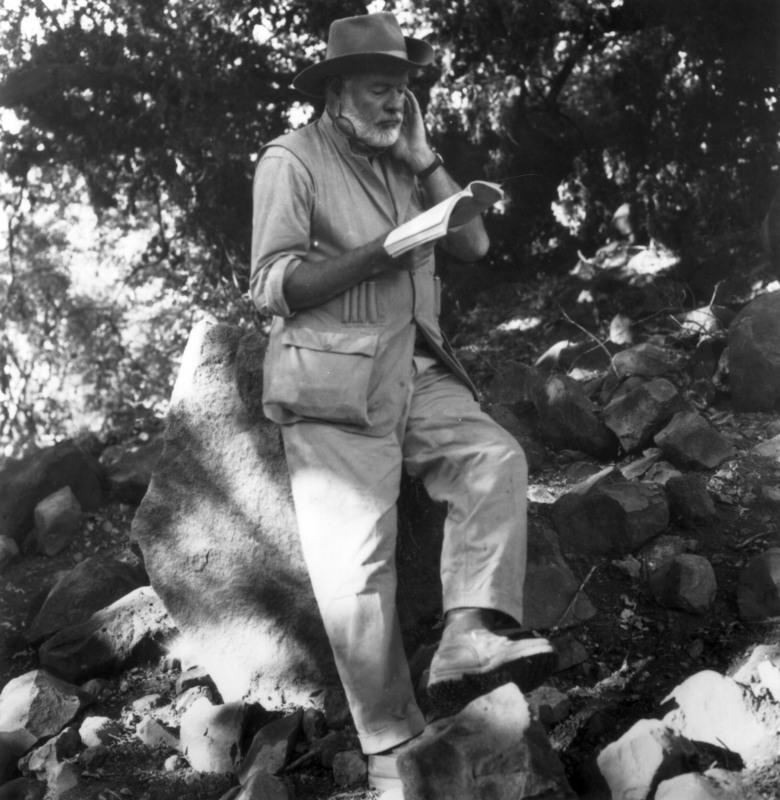 Since the rise of feminist criticism, much has been written about Hemingway's female characters, especially Catherine Barkley, whom some reject as unflatteringly submissive. There is considerable division over this issue, and the subject is worthy of exploration. A 1957 Hollywood movie version of A Farewell to Arms stars Rock Hudson and Jennifer Jones. A more recent film, loosely based upon Hemingway's war experiences in Italy, starring Chris O'Donnell and Sandra Bullock, is also available.